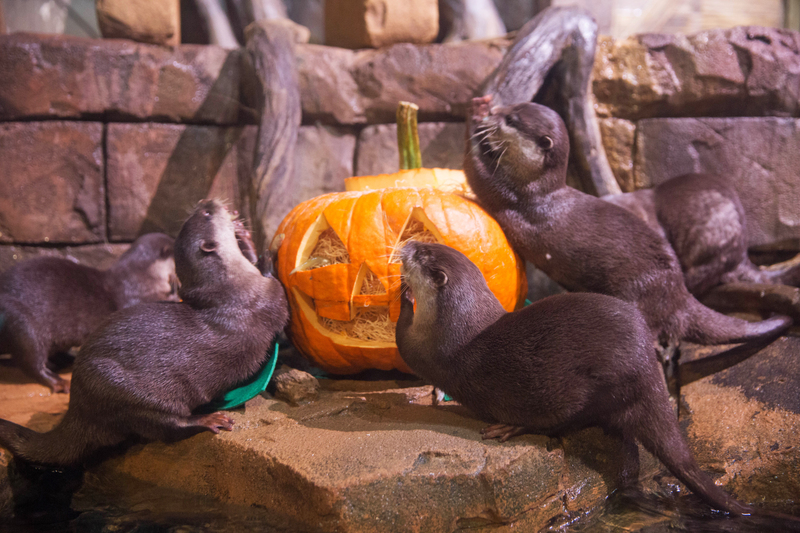 October brings many treats to Georgia Aquarium! Whether it’s dancing with monsters, working out by whale sharks, or sipping cocktails under the sea, there’s something for everyone to enjoy. Check out what this October has to offer below! Monday, October 1 from 10:00 a.m. - 11:30 a.m.
October's theme is Jamming with the Jellies! 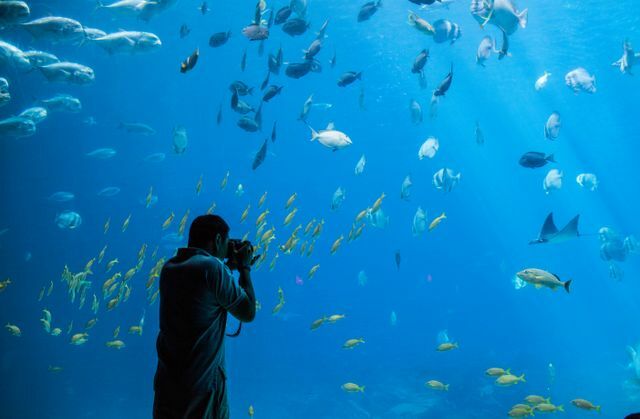 Dip into Georgia Aquarium without the time or cost commitment of a General Admission ticket. 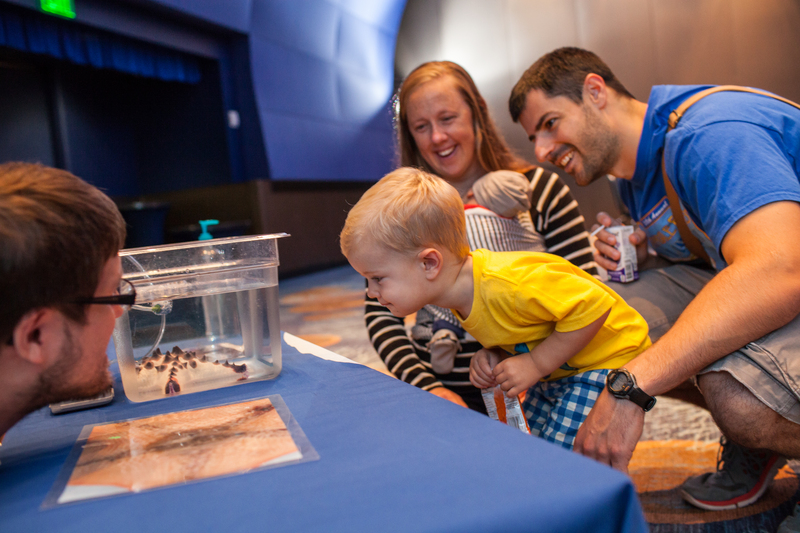 During this hour and a half experience, children will learn about Georgia Aquarium, enjoy a costumed character appearance, story time, craft activities and a small snack. Weekends starting October 6 through October 28 and Halloween day at 12:00 p.m. and 2:00 p.m.
Join Dracula, Frankenstein, and all their spooky friends as they visit Georgia A-Scary-Um for Halloween! These monsters aren't here to scare, they're here to party! Music brings the monsters to life as they sing and dance to hits of the '70s and '80s, making this boogie-filled fright fest a treat for ghouls both young and old! Graveyard Smash: A Monstrous Spook-tacular will run Saturdays and Sundays through October 28 and Halloween day. 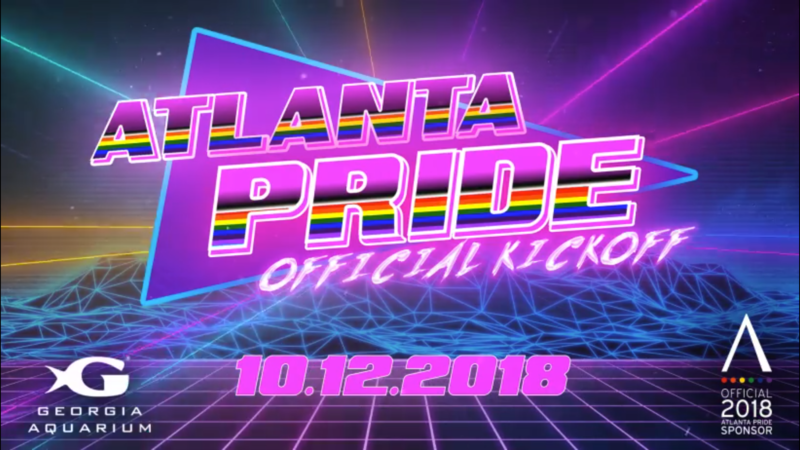 Friday, October 12 from 7:00 p.m. until 11:30 p.m.
Join us at Georgia Aquarium as we host the Atlanta Pride Official Kickoff Party for its ninth year in a row! Enjoy Aquarium admission, access to all available exhibits and a special AT&T Dolphin Celebration presentation. Grab your friends and boogie with the belugas as we feature Atlanta based DJs Mark Gordon and Kevin Durard for an unforgettable night! Get your tickets now, this event is guaranteed to sell out – fast! 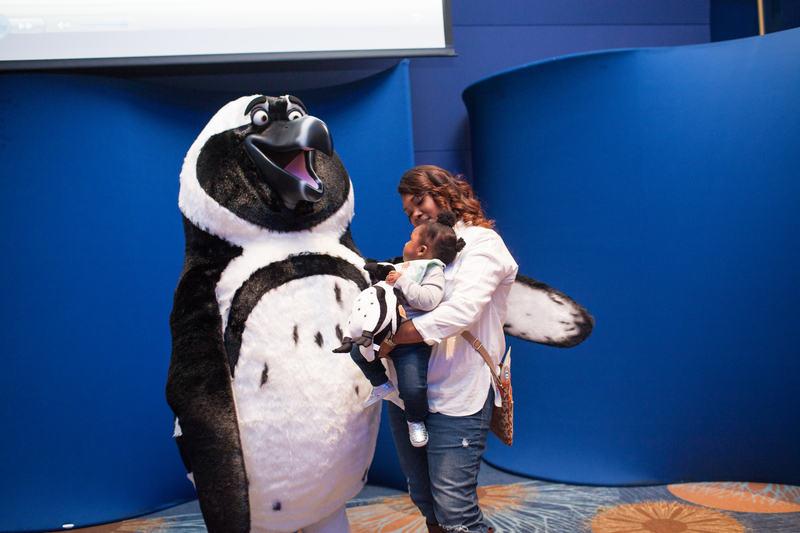 Saturday, October 13 from 11:30 a.m. - 2:30 p.m.
Waddle your way over to Georgia Aquarium and join us in celebrating our well-dressed friends, the African penguins! Party with the Penguins will take place on Saturday, October 13 from 11:30 a.m. - 2:30 p.m. in the Oceans Ballroom. This FLIPPERtastic celebration will feature educational and interactive activities including a penguin trainer Q&A, nest-building game, penguin ID bracelet craft, and so much more! Best of all, Party with the Penguins is included in the price of admission or with your membership. 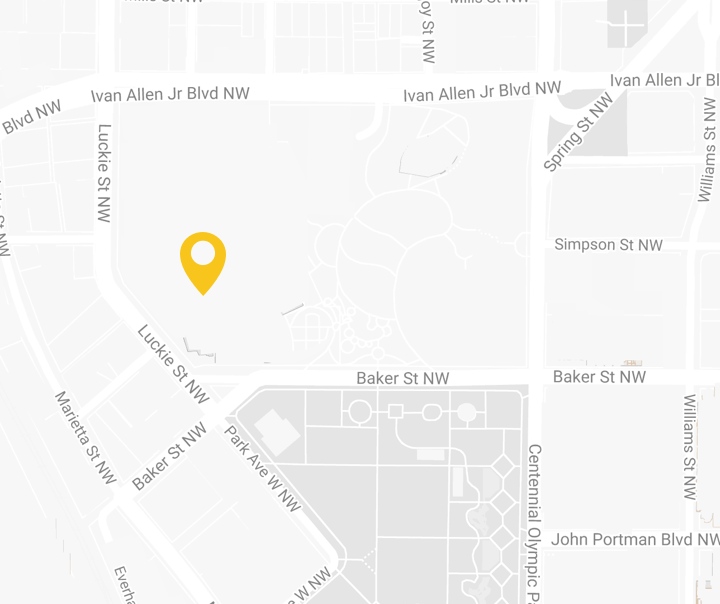 Yoga – Wednesday, October 17 from 6:30 p.m. – 7:30 p.m. 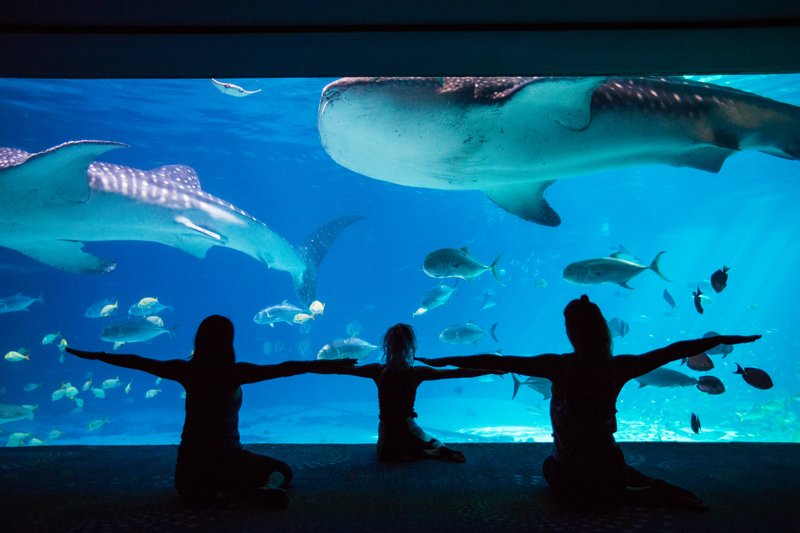 Break a sweat at the most unique and inspiring fitness studio Atlanta has to offer – Georgia Aquarium! Workout by the Water offers yoga, pilates, and bootcamp classes led by local fitness instructors. Classes are designed to challenge students of all experience levels. 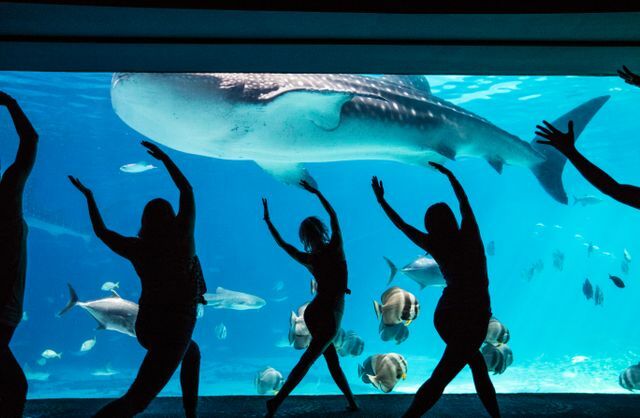 Workouts take place in our magnificent Oceans Ballroom, offering incredible views of manta rays and whale sharks guaranteed to motivate you to become a healthier, and happier, YOU! Friday, October 26 from 6:00 p.m. - 10:00 p.m.
Sips Under the Sea is a unique cocktail party designed for adults 21 and over to enjoy Georgia Aquarium after hours. You'll have the entire Aquarium to yourself while enjoying cocktails, tapas and entertainment…all without kids! It's a Halloween Party - so you are welcome and encouraged to dress in costume! Costumes must be rated PG and no masks covering faces, please. Wednesday, October 31 from 4:00 p.m. - 8:00 p.m.
What's the only thing better than receiving a full-sized candy bar on Halloween? Trick-or-treating with beluga whales and manta rays, of course! Georgia A-Scary-Um provides a safe and friendly trick-or-treat environment for the whole family. Enjoy trick-or-treating stations in each gallery, Halloween-themed crafts and a photo station on Wednesday, October 31 from 4:00 p.m. - 8:00 p.m. It's bound to be bone-chillingly fun! Take a dive into prehistoric seas! 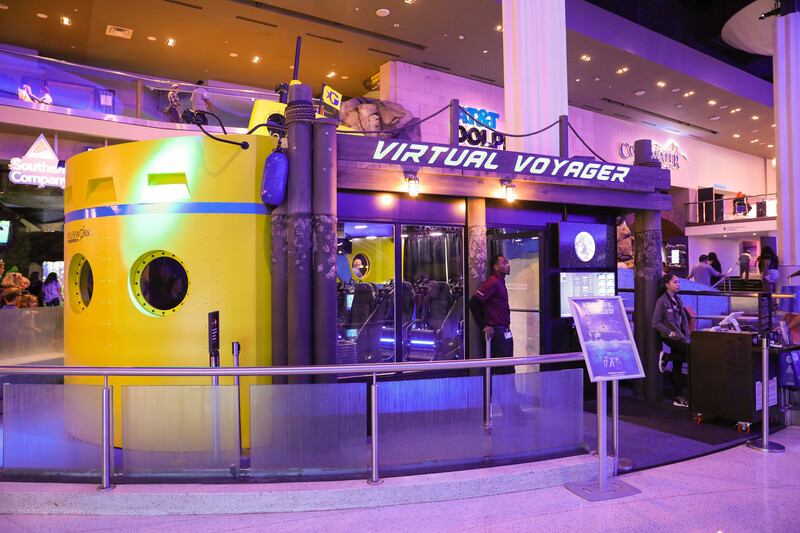 Become immersed back in time and see amazing marine life from a distant past with our new motion-based virtual reality ride. Swim along a massive Archelon sea turtle, marvel at a graceful long-necked Styxosaurus, and come face-to-face with the powerful Ginsu Shark! The ticketed attraction, located in the atrium next to the Southern Company River Scout Gallery, offers an eye-popping, first-person adventure for up to eight people at a time. Admission is $10 per person/per ride, or $8 for Georgia Aquarium members. October is jam-packed with thrills and chills at Georgia Aquarium. For photos and updates of all the fun being had this October - follow us on Facebook, Twitter, and Instagram. 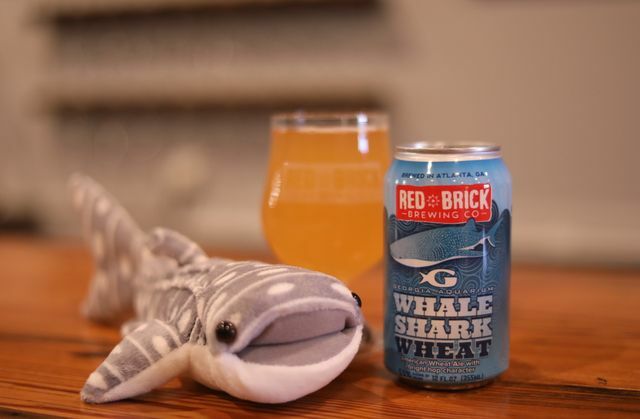 Whale Shark Wheat Is Back. Back Again.